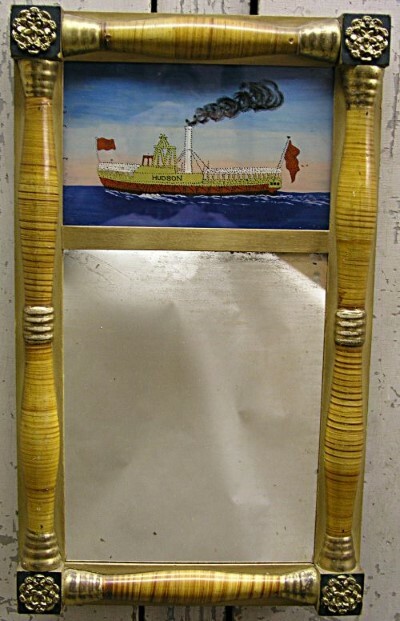 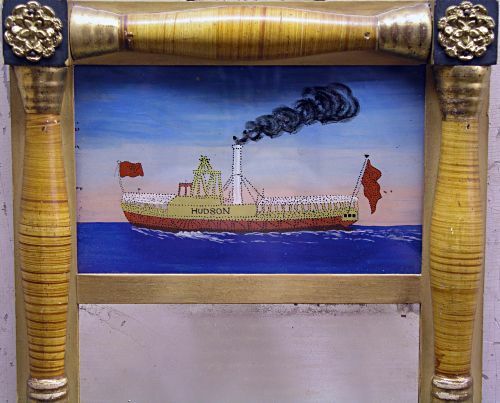 Vivid paint decorated split column mirror with block corners and reverse painting on glass with ship in upper tablet. 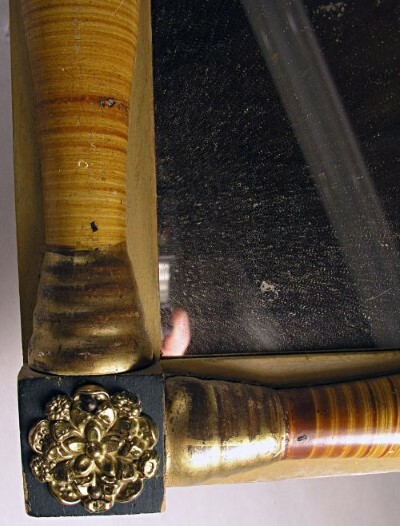 Wonderful condition with original reverse painted upper section along with original mirror glass and backboards. 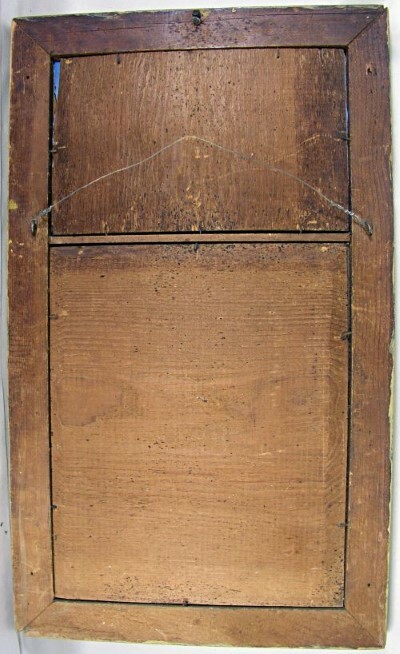 Dimensions: Measures 11 1/2" x 19 1/4"